Upgrade your keyboard to EasyType and use simple gestures to type faster and more intuitively. 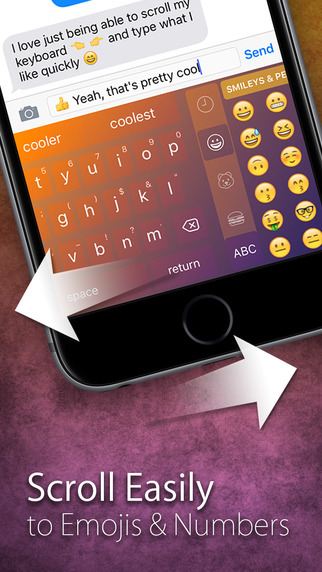 Swipe left to bring up a smarter emoji keyboard, or right for a numeric keypad. 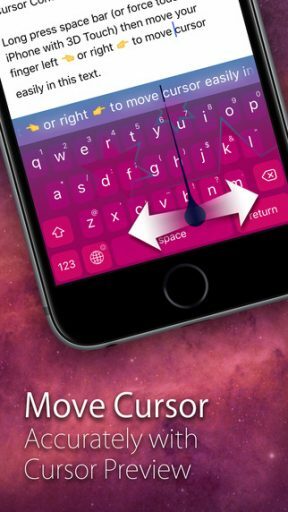 Customize your keyboard with colorful themes, smart features, and unique effects. Take advantage of 3D Touch when typing on the latest iPhones. Switch languages quickly by simply dragging up on the spacebar. EasyType combines the latest Artificial Intelligence with smart ideas that will have you typing faster without changing the way you type! • Finally a precise way to move the cursor exactly where you want it! 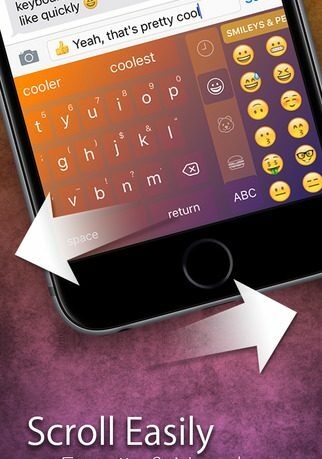 • Colorful keyboard themes — pick one that fits your style! EasyType adds multi-functionality to the keyboard you are already familiar with to make texting and note-taking a breeze. Swipe the keyboard left or right to other keyboards quickly to access emojis, numbers and punctuation. Need to move that cursor? Just long press the space bar and use the built in Cursor Control. This is also supported with 3D Touch if available. Long press your finger and slide left or right to move the cursor exactly where you need it. In a hurry? Every key has an alternative symbol. Instead of looking for your punctuation buried three deep in the interface, simply swipe the key up to insert its symbol. 3D Touch will perform this action as well. The most convenient asset I found included with EasyType Keyboard was the word delete. If I found I made a mistake, I would just back swipe the delete key to erase the entire word. No tip tapping away to get rid of it letter by letter. Change your mind about a whole sentence? Just keep holding down after swiping to delete additional words. It even gives you an option of how fast or slow you would like it to go. The app also has a fair variety of themes to choose from. There are a few offered for free, though some have an additional in-app purchase. Wave and Futura were my personal favorites. I have been exploring keyboards of all types in the App Store for quite a while and am always up to try a new one. This one by far exceeded my expectations. It is smart and attractive. 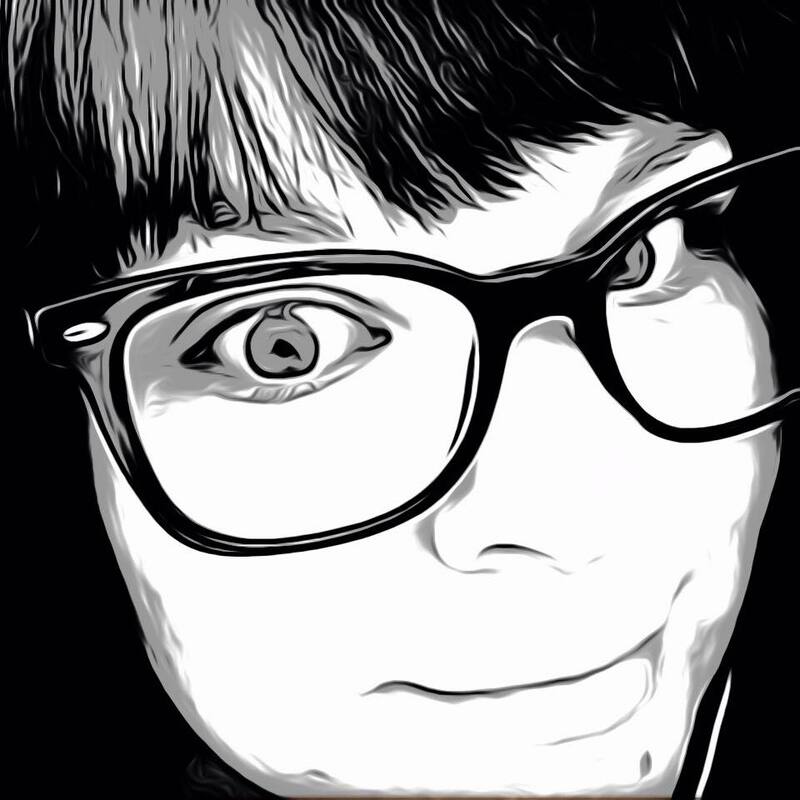 I love all of the dual uses it supplies while allowing users to customize everything from appearance down to assigning the layout and functions. Though some of the shortcuts will take time to memorize, once learned they will save a great amount of time which is something we can all use. EasyType is available for free in the App Store now and is compatible with iPhone and iPod Touch.